The very first time I was looking for a tote bag through Louis Vuitton website, I fell in love with their Totally tote bags. I think these bags have the all-in-one kind of offer. First, it has two outside pockets where I can imagine having my keys in. Secondly, it has two phone pockets and one large compartment. Since this Totally has a top zipper closure, all of their inside pockets are opened or none zipper closure. 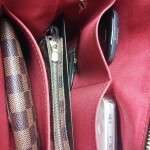 I thought this model was the go to versus the Neverfull which only offers one big zipper compartment inside the bag. Neverful is a beautiful tote bag and very iconic to the LV. Back then, I did not purchase neither Totally or the Neverfull bags. I thought I wanted to wait because Totally only came out in the Monogram and Damier Azur prints. I could not make up my mind to buy the Neverfull one either. 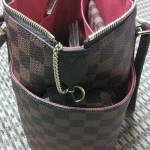 Until I went to Paris, not knowing that the Totally has came out in Damier Ebene print! 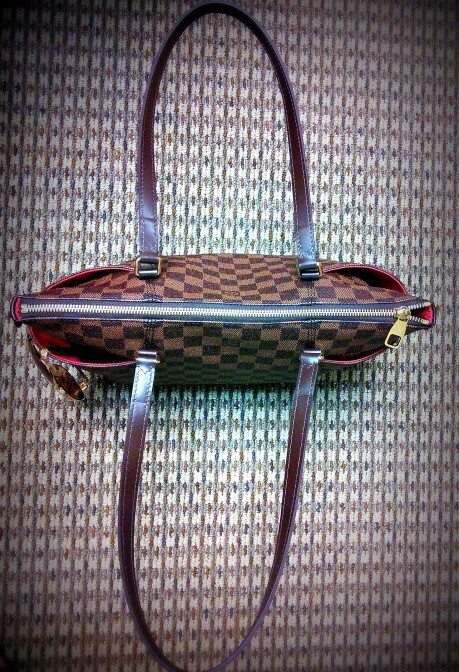 I walked in the LA MAISON with one decision, the Neverfull in Damier Ebene and in PM size. 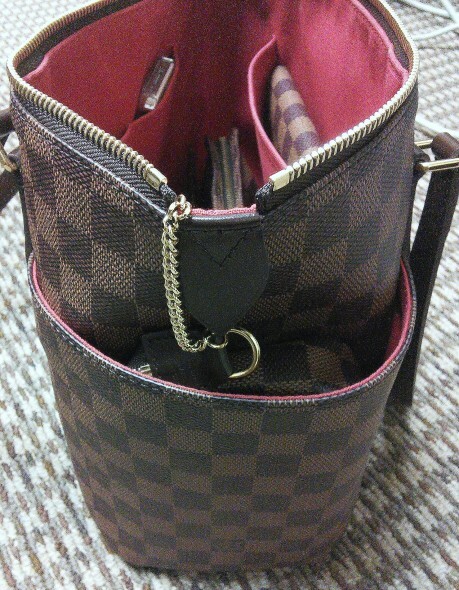 The new Neverfull comes with the small pouch which I thought it was very nice of Louis Vuitton to do so. I totally made up my mind and saved up for this bag. 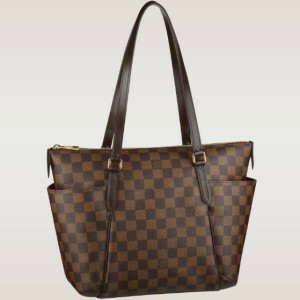 I walked in LV on Champs Elysee and went straight to the left, on the bottom floor there they were the Neverfull totes. I almost had someone show me the PM size till I glanced at the Totally totes in the middle section! There they were, the Totally in the Damier Ebene print. Very cute and very practical. I didn’t even look at the Neverfull ones. I immediately asked to look at the Totally in PM size. Well, it was everything I was hoping to get. 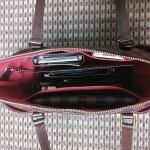 Totally in Damier Ebene, has a “D-Ring” inside the tote! This could not get any better. My SA was, Christoph, he was very helpful and patient with me. I asked to have a new bag not the one on the shelf. 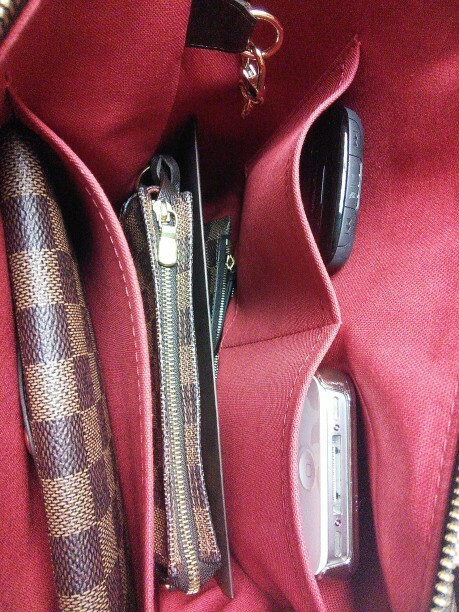 He also showed me the small pochette which I planed to purchase anyway. The Totally PM is the smallest size LV offers. It has the widest at 15.4″ and 14″ in height. The width is about 4″. 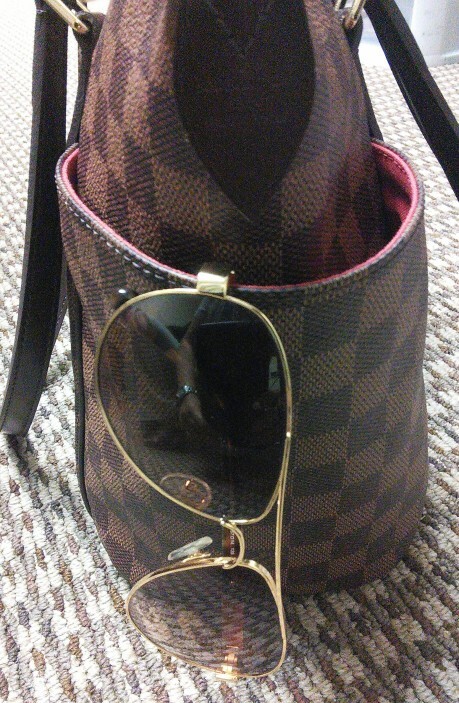 If you know Louis Vuitton, you understand how small bags can fit so much! So as Totally PM. I’m only 5.2′ and when I had the PM on my shoulder, I was sold. I didn’t even try on the MM size to confuse myself. I was an easy client for Christoph that day. 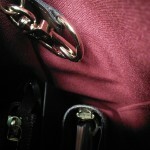 The top zipper is very secure for us girls when we travel or walk in the middle of crowds. I love love the outside pockets very much. I also like the two small pockets inside where I can fit my phone in one and my work phone in another. The larger pocket fits my Josephine wallet just fine. I could not ask for anything more. This was by far the most practical tote bag I have ever seen in Louis Vuitton a store. Totally is not the most beautiful tote bags they made, but it is full of function. The bag has nice leather handles which I feel like they sit well on my shoulder. The brass hardware was shiny and pretty. The zipper pull is different than the other Totally prints. You can hook your favorite charm or key chain on to this zipper. I love the D-ring inside. 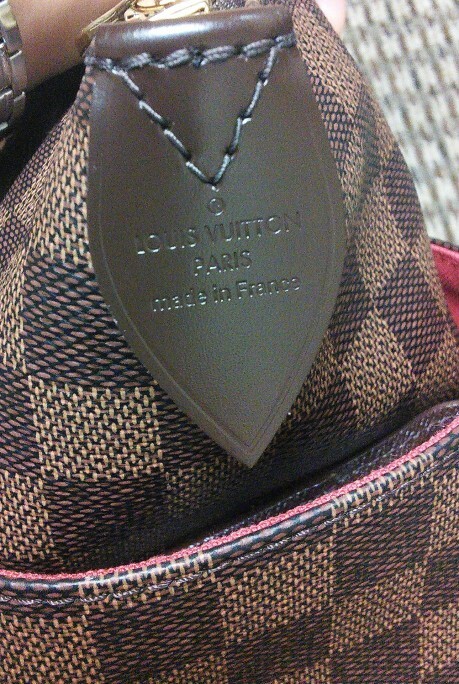 It is a special treat from LV, I think. 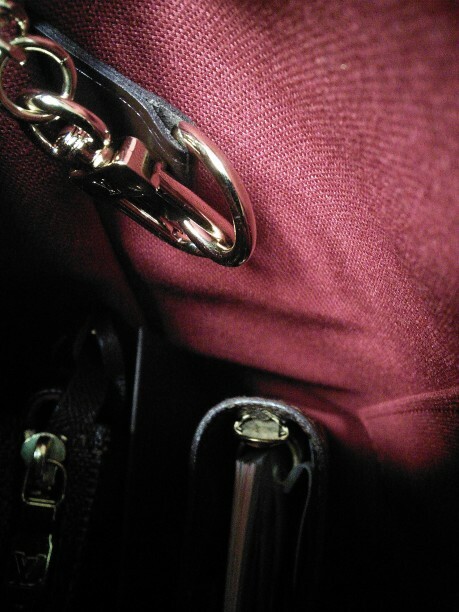 It is useful when I travel, I only hook my pochette with this D-ring and I know nothing is going out of this bag. There are no feet on the bottom of the bag so don’t sit the bag on dirty floors. Red interior was nice and bright. The fabric is easy to clean. I am planing to use the bag as much as I like to. It is a very functioning bag. 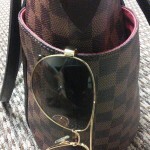 The dark brown of Damier Ebene eases the fear of getting the bag so dirty so fast. I asked Christoph how to clean their canvas bags. He simply replied, soapy water !! just don’t get the soap on the hardware, he added. So there you go ladies, soapy water on a paper towel will clean the LV bags just fine! 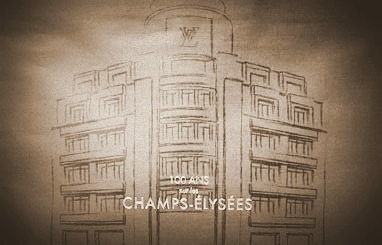 Besides the fabulous found, Louis Vuitton is celebrating their 100 years in 2014! How lucky was I? They provide the 100 ANS brown bags that only La Maison, in Paris offers. I was thrilled! and confused if I was supposed to be happy? I didn’t get the leather wraps (as usual), instead, they wrap all boxes with 100 years celebration ribbons! I was very happy to get there as early as I did. No lines, no hustle and no rush. Everybody was happy. All sales assistants were very nice and polite to me. The special treat that I got from La Maison? I got to see the top floor where they offer a hot stamp on one of my items. Will definitely explain this later on my blog. It was once of my lifetime to experience such a service and beautiful store like LV. No wonder, many handbag lovers are crazy all over their products as well as their service. I would definitely check out the boutique again when I have a chance to visit Paris. Hope you agree. Or leave your comment below if you have other thoughts? Click on each photo, leave a comment or questions under photos. Thank you. Thanks for the details–i bought my first LV Totally PM DE.Loving it.i need to know what i m using and should have the knowledge of these. purses. I’m glad you got what you like. How do you like the PM size? I still love it and use it everyday. The zipper does help to keep things inside the bag too, ain’t it? Thank you for sharing superb informations. Your web-site is so cool. I am impressed by the details that you have on this website. It reveals how nicely you understand this subject. Bookmarked this website page, will come back for more articles. You, my friend, ROCK! I found simply the information I already searched everywhere and just could not come across. What a perfect web site. You made certain good points there. I did a search on the issue and found a good number of people will agree with your blog. Thank you for making this video. Very informative. Have you have any experience with the Westminster. I am debating between this and the Westminster. Hi Maria! I have not had experience with Westminster but I have seen it in stores. They are about the size of Totally MM or bigger. Both bags are beautiful but if you visit their boutique and try them on, you’ll get your answer 🙂 thank you for reading. 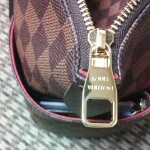 Can you please tell me where I can find the date stamp/code on the LV Totally PM Damier Ebene? The date code is inside one of those two external pockets. The easy way to explain it to you is open the bag, it is on the same side of the zipper holder. Hope this makes sense. Or you can put your hand inside the pockets and feel along the side stitches. 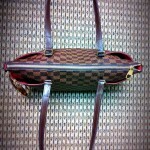 I bought my Damier Ebene from LV on Champs-Elysees also. And in 2014. I love it! 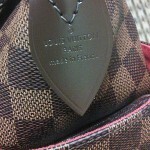 I have heard several people mention that all LV bags have a date stamp or they are not authentic. I’m not sure this is true because I don’t see a date stamp on my bag and it is authentic. I was wondering if you’ve heard this as well? Hi Melissa. Thank you for reading my page. If you bought the same bag here, the Totally PM, your date code is inside the side pocket. It is hard to reach but here is how to find it. 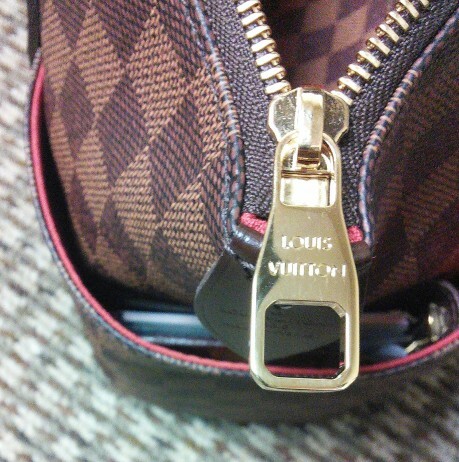 Open the main zipper. 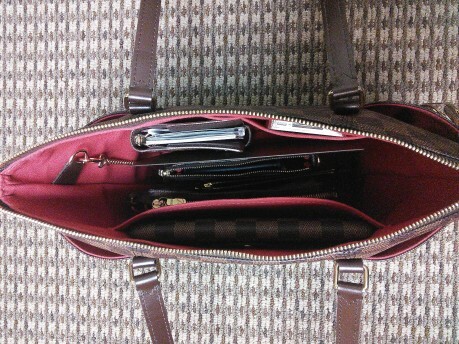 Push the corner of your bag together so there is plenty of room for the side pockets for your hands. Now, look at the pocket where the Leather stampped Louis Vuitton Paris is,,,, there is one hidden inside 🙂 let me know if you can find this?